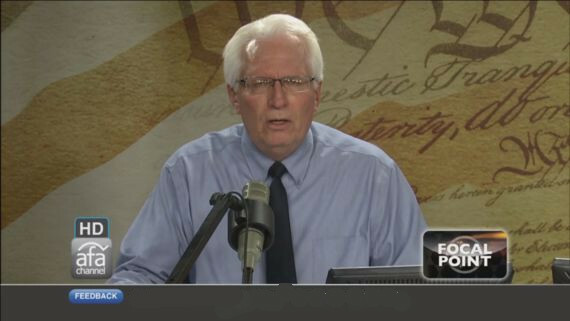 The Slowly Boiled Frog: Bryan Fischer offers prayer (and bigotry) as the LGBT "solution"
Bryan Fischer offers prayer (and bigotry) as the LGBT "solution"
We have ample evidence in support of the conclusion that Bryan Fischer is an idiot. Fischer is also a bigot. The fact that American Family Association gives Fischer a microphone on their radio network is ample support for SPLC's hate group designation. However, blabbermouth Fischer does have a loud microphone each day and he is popular because he tells conservative Christians what they want to hear. Mr. Wizard has a vast inventory of religious inanity. It is inevitable that some of those conservative Christians will have LGBT children and, if they listen to Fischer, they will damage those kids for life. 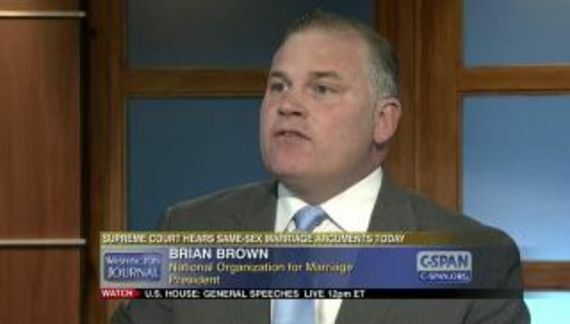 Conservative Christians have at least the same percentage of LGBT kids as anyone else. The Bible's view of human sexuality is quite direct: God created them "male and female" (Genesis 1:27). There are two sexes, or genders, and only two. Period. According to the Bible, the sun rotates around the earth. Are biblical literalists murdering insolent children or brides who are not virgins as dictated by their book? Are we stoning people who work on the Sabbath? Biblical literalism is a form of insanity. The belief that a book of questionable provenance has all the answers eradicates intellectual curiosity while demolishing critical thinking. According to the American Foundation for Suicide Prevention and the Williams Institute, a tragic 41% of American transgenders attempt suicide at some point in their lives, compared to just 4.6% of the rest of society. M.C. Lampe couldn't take any more bullying. Not one more homophobic taunt. Not one more classmate refusing to sit at a nearby desk or change clothes within view at gym. So the devastated 9th grader brought a knife to school and vowed: "If someone else says something, I'm done." … children with gender identity disorder [have] remarkably high rates of anxiety and depression. Parents need to know that if their child is in distress due to gender dysphoria, allowing him or her to transition offers the best chance for a normal life. This is not the same thing as encouraging transition. The child is in control. If the kid is in severe distress he or she will be decidedly determined to affirm their gender. What is the solution? It begins, continues, and ends with a determination on the part of sexually confused individuals to believe and affirm what the Bible and science teach about their sexuality. Today's transgenders have been conformed to the world in their thinking, with tragic results. Aside from the fact that the word transgender is an adjective, not a noun, this is sheer stupidity. It is Fischer who is profoundly “confused” — not someone with gender dysphoria. The condition cannot be prayed away. If this is Fischer's solution for gender dysphoria then he also supports pray-away-the-gay crackpottery. I am not attacking faith. I am attacking faith to the extreme. Religious extremism caused people to fly airplanes into buildings. Fischer's extremism is less violent but he does violence to LGBT people every single day. As for “tragic results,” Fischer is a purveyor of the ignorance and bigotry which victimizes sexual minorities. Rather than listening to morons like Fischer, parents need to consult with an expert in the field. That is usually someone with “MD” after their name and not someone with “Rev.” preceding their name. If a child has pneumonia, would any sane parent consult the Bible for a cure? I am simply baffled by the BS. Mr. Fischer is baffled. Period.